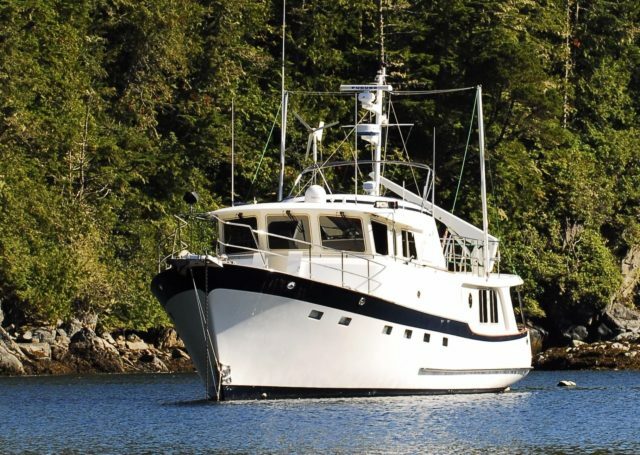 Awaken your cruising spirit in the Pacific Northwest aboard a Kadey-Krogen, its ideally designed for NW weather, seas, passages and channels. 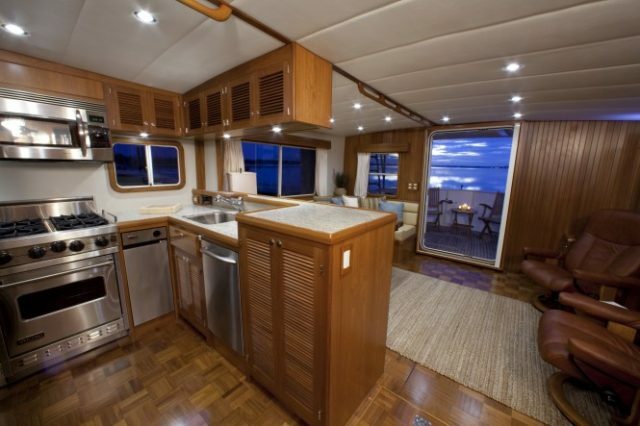 Some of the features that enhance the NW experience are; a fully covered cockpit with weather doors, by enclosing this area provides what the owner’s refer to their back porch. By opening the saloon doors, this area will be heated and greatly extends the living area. The covered walkways will keep you out of the rain while securing the docking lines from the side decks and cockpit. 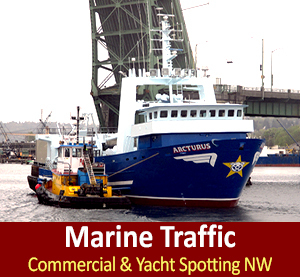 “The fly bridge is what I call a pacific bridge, it sits aft of the wheelhouse and provides a wonderful location to experience our beautiful outdoors weather permitting and keeps a very low center of gravity (hence lower A/B ratio = more comfort at sea), wide decks and uncluttered foredecks this allows safe and easier egress. 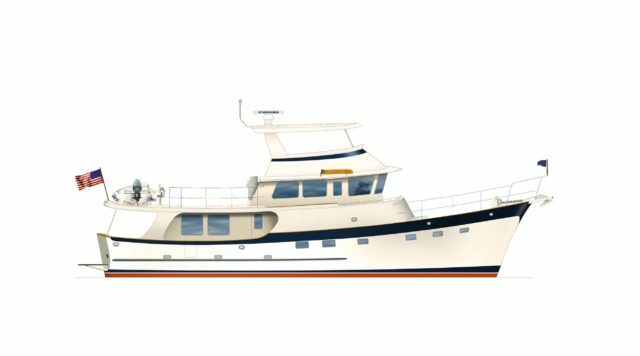 With all of our new models, interior and exterior steps are house type meaning 8 inch risers between each step,” in Dennis’ words, based on this description it sounds like these yachts sell themselves. By putting a lot of emphasis and careful thought on functionality, Krogen yachts provide large pilothouses offering outstanding visibility. By using top quality house-hold brands, these galleys that are enjoyable and inspiring to cook in even in even on those typical NW overcast west days; Kadey-Krogen owners don’t need to stop for weather, they don’t let weather stop them. “The unique aspect with any boat begins with the intended usage. At Kadey-Krogen, the main influence is driven by just that. This is a couple’s cruising power yacht, the focus is not given to a singular use intent rather the design is to provide a cruising platform that as we say provides a home on any sea. To break this down into true meaning, each and every Kadey-Krogen can safely voyage any ocean and has the range to cross if so desired, blending so well a live-ability that is truly unmatched with the similarly compared brands. From the commodious interiors and walkways to the abundant storage spaces to the cruiser friendly symmetrical hull form, produces the ideal balance. 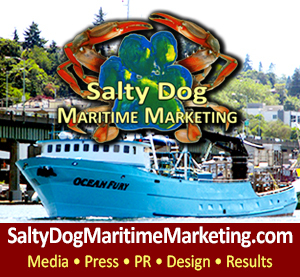 Results are favored heavily on attributes poised for how most voyaging couples spend their time on the water,” describes Dennis. 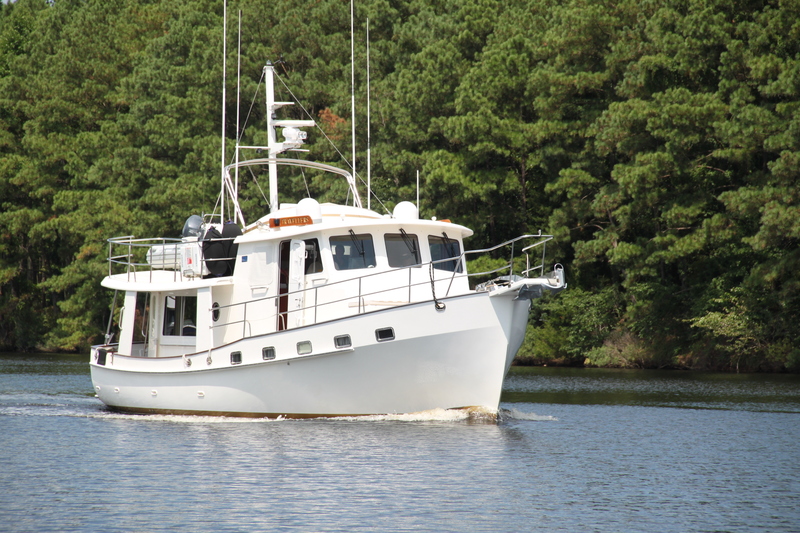 The hull form of a Kadey-Krogen is 25% more fuel efficient than the comparable brands due to the symmetrical wineglass hull form and with the rising cost of diesel fuel, that is a big reason owners are more content with taking those longer trips each year. The hull form of the Kadey-Krogen is extremely comfortable underway since the hull form is not counteracting what the stabilization is eliminating, roll. The hull form symmetry with the wineglass transom provides unparalleled directional stability for running in seas from astern. It all comes down to comfort. If your thinking of getting into a Kadey-Krogen take note – of ship hull shapes, current owners know these builder facts are absolutely true an actuate cruising without limits. Each new Kadey-Krogen is built with a collision bulkhead forward and strategic areas are reinforced with an Aramid fiber to create high impact resistance. Some of our models have up to 5 watertight bullheaded areas! Windows are 10 mm thick tempered glass with heavy frames; doors are welded and seamless storm proof doors. These safety features play heavily on putting a yachting couple at ease while voyaging in our Northwest waters. This is exactly why Kadey-Krogen has spent an enormous amount of effort and money in the build process to reduce noise. Excessive noise can sap your energy and by reducing the ambient noise around your cruising environment allows for far greater safety and comfort in those extended voyages. “Our Kadey-Krogens are run by couples, not paid crews. So we get it, understand that very clearly and provide just for that. 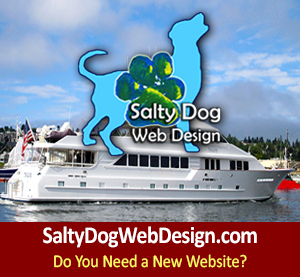 This is a key element for an ideal Northwest Yacht! 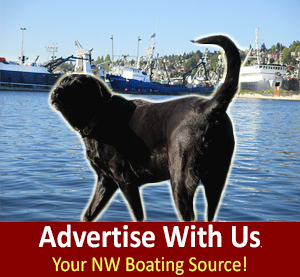 If you’ve been bitten by all of what the Northwest provides in a voyaging lifestyle the Krogen will surely put a smile on your face with each and every waypoint reached,” emphasised by Dennis a seasoned NW boater. 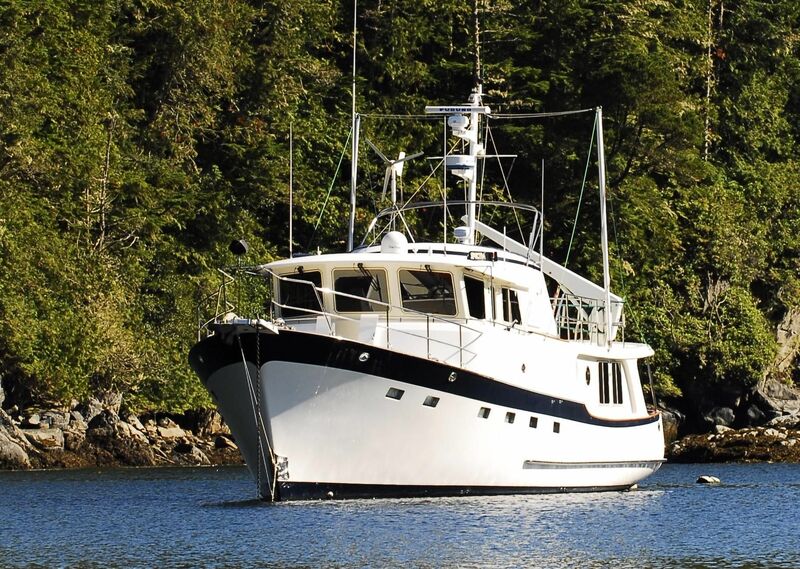 Kadey Krogen Trawlers built for PNW luxury, sanctuary, great cruising!